Digital technologies and methods have recently become important in the humanities as scholars use the new tools not only to help read and write about literary, historical, and artistic materials in traditional ways but in new ways influenced--not just communicated by--the new media forms. Literature+ (Experimenting With Digital Approaches to Understanding Literature) is a course that draws on the new fields of "digital humanities" and "new media studies" to ask students to think about, and experiment with, how new digital methods enhance the study of literature. 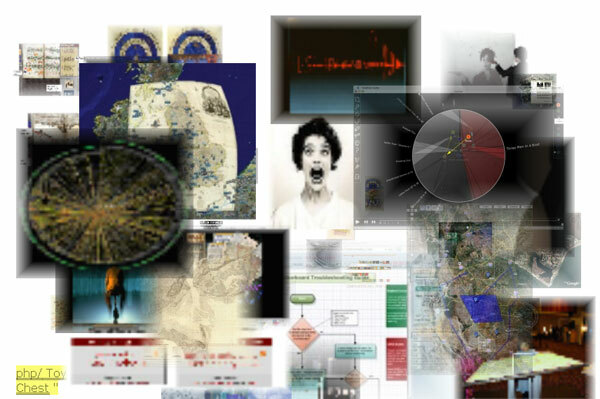 Students choose a literary work and use digital methods to model, map, visualize, text-analyze, social-network-analyze, blog, or otherwise interpret it using new tools and media. How can such methods augment or change our understanding of literature by comparision with other methods of literary interpretation? What is the relation, for example, between "close reading" of literary texts and "distant reading" methods that identify trends in language or themes across thousands of texts? The course begins with discussion of selected readings and demos of digital tools to set the stage. Readings include: Franco Moretti's Graphs, Maps, Trees, Ryan Heuser and Long Le-Khac's "A Quantitative Literary History of 2,958 Nineteenth-Century British Novels," Lisa Samuels and Jerome McGann's "Deformance and Interpretation," and Stephen Ramsay's "Toward an Algorithmic Criticism." Demos include online or downloadable tools from a Digital Humanities Resources for Student Project-Building site made available to the class (most can be used by non-programmers to create interesting projects). After the initial unit of the course, students break into teams, choose a literary work, and collaborate in workshop/lab mode to produce a proof-of-concept digital project. Collaboration will occur both face-to-face and virtually in the class wiki. Individual students also create an annotated bibliography, research reports, and a final essay reflecting on their project. This course counts for the English Department's Literature and Culture specialization and also welcomes students from the College of Creative Studies and other majors.